At the packed tables are business suits on their phones, thumbs flying across the screen as they wait for their salads next to workers in T-shirts at the counter. Young women in swimsuits with chic beach cover-ups chatter together, sipping sodas next to families with young children in polo shirts, and beautifully turned out white-haired couples, sunglasses firmly in place. The constant whir of the milkshake machine hums throughout the meal. We recommend a cheeseburger for lunch or an omelette for breakfast- your diner staples. But truth is, we haven’t had a bad meal here yet. You’ll need to be well fueled for our next recommendation- so don’t hesitate to enjoy a milkshake even if it is over $7. Hey, its Palm Beach. Play: Rent Bicycles at Palm Beach Bicycle Trail Shop. Located at 223 Sunrise Avenue, stop in between 9 and 3 to rent your bike for your trip down the Lake Trail. While you can walk or run (we’ve done it with the running stroller and it’s a great trip) the trail, its particularly palm beachey to do it by bike. Learn: Ride the Lake Trail with a stop at the Henry Morrison Flagler Museum Somehow, and we aren’t quite sure how, the gentry of Palm Beach allowed a public trail to be installed right in their backyards. The trail winds down the intercoastal with incredible views of West Palm Beach and the island’s famous homes. Check out a fantastic blog on Florida- The Florida Rambler– for a great review of the trail and what you can expect to see. As recommended by the Florida Rambler, we also think that parking at the Flagler Museum is the way to go. The Henry Morrison Flagler Museum is open year round, but is closed on Mondays. Tuesdays through Saturdays you can drop in from 10-5, Sundays 12-5. 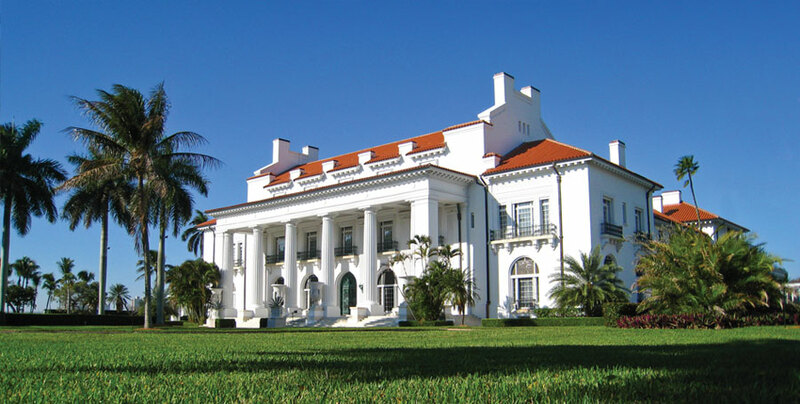 There you can learn about early Florida and Flagler’s famous railroad connecting eastern high society to the sunny Florida outposts of Palm Beach and the Keys. There is a café on site if you need a quick snack, but hours are limited (11:30am-2:30 pm).